When you observe discussions about audio gear, you might notice that most of the time very abstract and subjective vocabulary is used. A good equalizer is “musical”, it “sounds open” and it adds the right kind of “shimmer” or “air”. Or some are said to be great for vocals, while others are only suitable for drums. It’s pretty much the same for compressors, microphones and other devices. It’s fascinating how notoriously imprecise these descriptions are. In contrast, an equalizer is rarely described in terms of its filter shapes, Q factors, parameter ranges or specific nonlinear distortion. The specific requirements for such devices are extremely diffuse, they just have to sound good. The why and how is rarely ever discussed. There is an interesting article by the legendary Michael Gerzon from 1990, which has the same title as this post. It’s well worth a read, although most of the phenomena he describes don’t really apply to what we typically refer to as equalizers. The article is mostly about surprisingly well audible coloration that is hardly visible at all in typical frequency response measurements. A very valid concern. But interestingly, most of the time we don’t even talk about those sonic features that are very well visible in such measurements. So let’s start a bit easier and walk through the most important design decisions to make when putting together an equalizer. I’ll divide the topic into two parts. Today, I’ll deal with the first step of developing an equalizer, which means defining its specific function, parametrization and ideal desired behavior. The second step, which we will deal with next week, is the practical implementation of this desired behavior using either analog electronics or digital signal processing. These implementation methods each bring their own special needs to the table, which can strongly influence the outcome compared to the ideal design. An equalizer is basically a set of separate filters, which change the frequency content of a signal in a specific way. If you have ever used one, you probably know quite well what that means, so I won’t go that much back into the very basics here. As long as there is no nonlinear distortion or compression present (= the filter is linear), and as long as the parameters don’t change (= the filter is time-invariant), the filter can be conveniently described by means of LTI system theory (LTI = linear and time-invariant). At the very core, a filter is just a set of equations that govern the relationship between an input and an output signal. If the filter happens to be linear and time-invariant, these equations can be greatly simplified, and we get a nice set of mathematical tools to describe the behavior of these filters. This also enables us to calculate the frequency response of the filter, which tells us which frequency ranges are amplified or damped how much, and also what happens to phase in the process. These two aspects – the magnitude and phase responses – completely define the behavior of a filter. In order to implement a non-trivial frequency response, the filter has to have some information about the past of the signal. That means the mathematical equations need to contain at least one element of “memory”. In digital signal processing this is simply a chunk of memory containing one or more past input and/or output samples. In analog signal processing, the typical memory element is an integrator, which essentially accumulates signal energy and releases it back “into the wild” after some time. We’ll see some real-world examples of what such elements can look like next week. Anyway, the number of such elements present in the filter determines the filter order. Simply speaking, the higher the filter order, the more complex the frequency response can be, obviously. But engineers actually hate complexity, so usually they find a way to tame complexity by breaking it down into separate less complex parts. It’s possible to do the same with complex high-order filters by splitting them up into several first and second order filters. And that’s what practically all typical equalizer filters consist of: a couple of individual filters with order one or two. Usually, we are dealing with second order filters. So let’s look into what design decisions an engineer faces when building a typical equalizer. Of course, the first decision to make is the filter shape and filter order. A first order filter will only yield very simple shapes: the well known lowpass, highpass and shelving filters. In fact, lowpass and highpass filters are special versions of a shelving filter. Look at it this way: with a first order filter, you can achieve different gains for high and low frequencies, with a slope between those two ranges. With highpass or lowpass filters, the gain of either low or high frequencies is simply zero. The steepness of the slope is limited to 6dB gain difference per octave. Consequently, with a second order filter you can get two such slopes. For a second order shelving, lowpass or highpass filter, you get a 12 dB/oct. slope. Or you combine two opposite slopes to get bandpass or peak/notch filters. By adding more such slopes (thus increasing filter order) it is pretty much possible to create any kind of frequency response. Also note that apart from the “slope stuff”, second order filters can resonate, which first order filters can’t. That means that the output of such resonant filters can contain a ringing tone with an exponentially decaying amplitude. This is equivalent to a sharp peak in the frequency response. The sharpness of such a peak is determined by the Q factor, which many equalizers allow the user to choose. Another important decision is the parametrization of equalizer filters. Is the filter shape fixed or flexible? Can the user control the Q factor? What’s the gain range in which the user can influence shelving and peak filters? What’s the frequency range? An important thing to note is that the less parameters are actually available for the user to control, the more decisions about the usage are made a priori by the developer. This can be either a good thing or a bad thing, depending on what you want to achieve. For example an EQ with pre-set frequencies and Q factors suitable for typical vocal treatment is probably much easier to use, as fewer decisions need to be made. On the other hand, it would be far more flexible and universal if every parameter could be individually chosen. The Q factor is a very special parameter. In many implementations, it is fixed. Being a critical factor that influences the coloration of sound, the way the Q factor is defined is critical to the individual character of an equalizer filter. Even if the Q factor is adjustable by the user, there are still some options in how to handle the setting in the end. Typically, the Q factor needs to be adjusted internally for peak filters with negative gain to get a symmetric response in case of positive vs. negative gain. Even more, some equalizers have their Q factor increase with peak filter gain, a feature called “proportional Q”. Obviously there is a lot to say about this topic alone, so expect it to feed another article in the future. Here’s another subtopic to feed a whole article of its own. For now, remember that there are different types of phase responses that equalizers can have. Most equalizers will have a minimum phase response, and I would personally recommend using minimum phase filters (almost) always. These filters have the minimum latency between input and output, but it’s not constant over all frequencies. Linear phase filters have a constant latency for all frequencies at the cost of pre-ringing. This can seriously affect the perception of transient sounds. This last one is maybe easiest overlooked. I already described some factors above like parameter ranges and proportional Q. 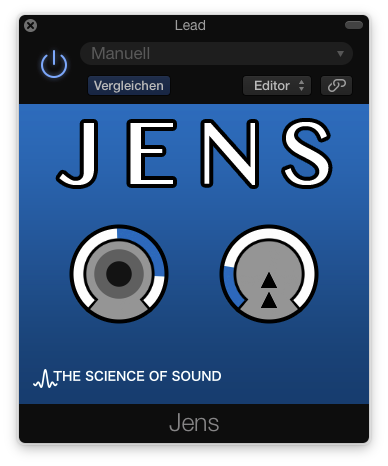 But there are even more ways in which the user interface can have a huge influence on the subjective quality of an equalizer. Parameter ranges are one thing, but another question is how the parameter reacts to knob or fader positions between the extremes. There’s a lot of variety there especially with analog equalizers. Sometimes the parameters can’t even be continuously controlled, but only in fixed steps. In this case, fine resolution is traded for better recall of precise settings, which comes in handy in mastering applications. Another factor is visual feedback. A graphical display of the equalizer curve can be a nice aid, but also distract from the actual sound. The same goes for numerical display, which might make the user gravitate towards nice-looking values. You see that already the very basic design requires numerous decisions. They all determine the fitness of a design for a given purpose. It gets even worse when limitations and special properties of the chosen implementation method chime in. Next week, we’ll look at how limitations of analog electronics and digital signal processing influence the result. And we’ll also glimpse into even more ways to implement filters without electronics or computers. 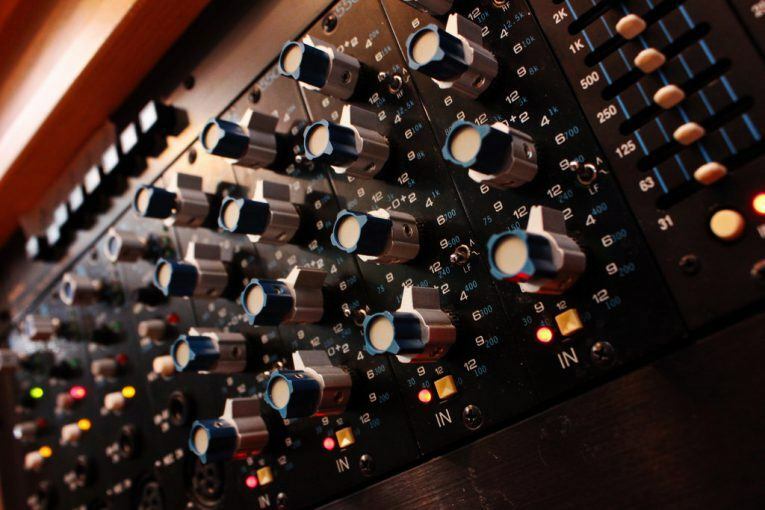 How do you decide which type of EQ to use? Do you always use the same one or do you vary depending on what you are doing? How do you determine the strengths and weaknesses of individual equalizers? Share your thoughts in the comments! Head right on to the second part!